Here is some advice for choosing the right product for you. Below is an overview of our range and the advantages. The long-awaited Vibe is Vaper Empire's newest device and has been designed by listening to the desires of the VE community. The device not only looks great and fits beautifully in the palm of the hand it has all the makings of the perfect vape. With a huge capacity battery and a large volume tank, the Vibe produces outstanding flavour and generous plumes of vapour. It has also been manufactured with simplicity in mind making it easy to fill and swap out coils and doesn't have any complicated settings. 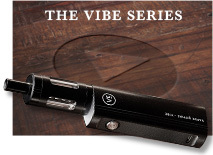 If you're looking for an amazing all-round device look no further than the Vibe series. The V-Twist looks relatively similar to the Vantage but has 2 distinct differences. Firstly it has a larger battery capacity (900mAh) which means that it requires less frequent charging. Secondly the V-Twist allows the user to adjust the voltage at which the model operates. This is an advantage because it means the amount of vapour released can be tailored to your needs. 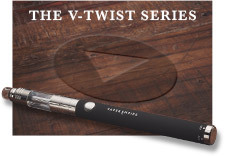 The V-Twist has custom clearomisers but still works with all of our E-Liquid flavours. 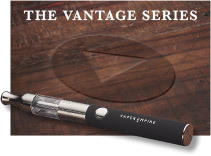 The Vantage – Great for New Vapers. The Vantage has over the years been the most popular product in our range, especially with people who are new to vaping. It has a good battery life at 650mAh and should last around 2 days before it requires additional charge. It is compact, lightweight and easy to carry around and the model is compatible with our full range of E-Liquid flavours. 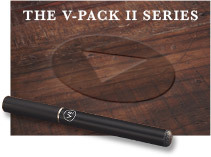 The V-Pack II is a completely different design to our other products and looks like a typical e-cig. The V-Pack uses custom disposable cartomisers that typically contain around 200 puffs. A standard smoker should expect to use a single refill a day. Although this is our most expensive product in terms of refills it still only works out at $3 dollars a day which compared to smoking tobacco cigarettes is an enormous saving. 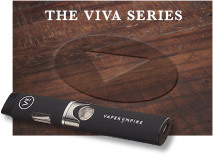 The Viva Titanium is much smaller than the Vantage and V-Twist and is very discrete. 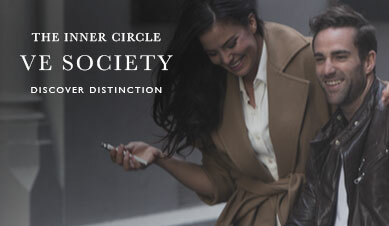 It is arguably the most attractive product in our range with its ovoid shape and slender lines. Although is small it has an impressive 360mAh battery life which gives a full day worth of vaping before needing to be recharged. The Viva is the easiest model to use with its customised clearomisers and it is compatible with all our E-Liquid flavours. How often should you change your Clearomisers and Coils? Clearomiser wicks and coils begin to degrade over time and although they will continue to work they will not vape as effectively. Overuse leads to difficulty in inhaling and is often associated with a burning taste. General replacement times are dependent on the usage volume of the individual and will vary based on vaping frequency. Here is an approximate guide, based on average vaping volume, on how often you should change your clearomisers or coils depending on which Vaping Device you are using. • V-Pack II Cartomisers are disposable after a single use and last 200 puffs or, based on average use, a full day. How many Clearomisers/Coils or Cartomisers should I order? 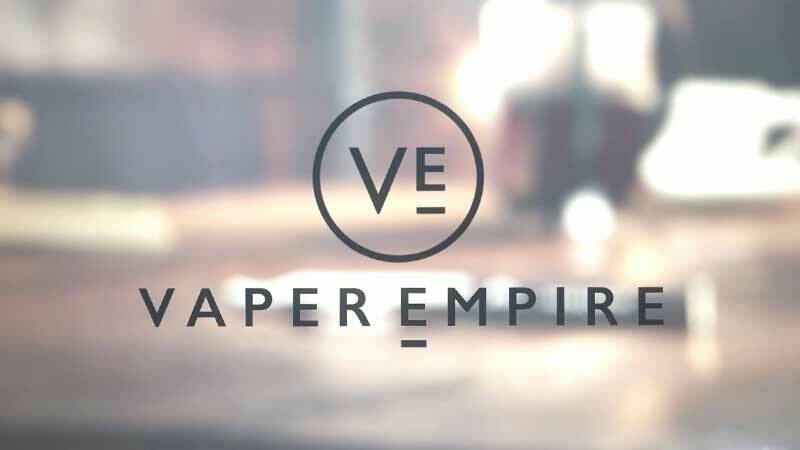 Due to the current restrictions in Australia Vaper Empire is based overseas so it can supply nicotine legally. However the downside of this is that our delivery cost are inevitably higher than domestic delivery. Therefore it makes sense to order more rather than less to avoid having to pay repeatedly for delivery. We suggest making an order once every 3 months or as little as possible to give you extra value for money. How much E-Liquid should I order? As mentioned above we feel it is much wiser to order more rather than less. However, we have a limit of 12 bottles of E-Liquid per individual as current restrictions in Australia only allow customers to order a maximum or 3 month’s supply. Our e-liquid comes in 10ml bottles and we suggest a single bottle should last 5- 7 days. After your initial order you'll be able to work out the exact quantities that'll you'll need next time. I want to reduce my Nicotine content. How do I do this? Most of our customers Vape because they enjoy it and have no desire to change this. 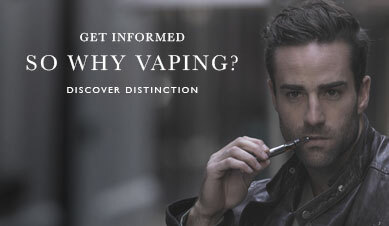 However, the beauty of vaping is that it can be used to adjust Nicotine content, reducing dependency. Vaper Empire has 4 different concentrations of E-Liquid (6mg, 12mg, 18mg & 24mg). It is therefore possible to decrease concentration over time and even mix E-Liquids. For example, if you vape 18mg E-Liquid but would like to reduce this slightly then you could mix a bottle of 18mg with 12mg bottle to bring down the nicotine content until you eventually only vape 12mg. Then you could begin mixing 12mg E-liquid with 6mg to bring it down further. If you have any questions or need assistance with how to do this, please send us an e-mail to [email protected] and we'll be happy to assist. For more advice click here to see our 'frequently Asked Questions'.